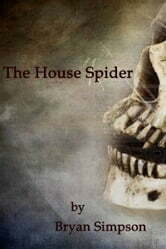 "The House Spider" is a chilling tale guaranteed to get under your skin. A man, excited about fixing up his very large, newly purchased house finds that he has lost track of time. Alone in the old house, he becomes troubled by strange noises and even stranger imaginings. As the night descends, so does a timeless creature far more horrifying than anything he has ever encountered. "The House Spider" may be a short story, but it will stay with you all through the night and every time you close your eyes.